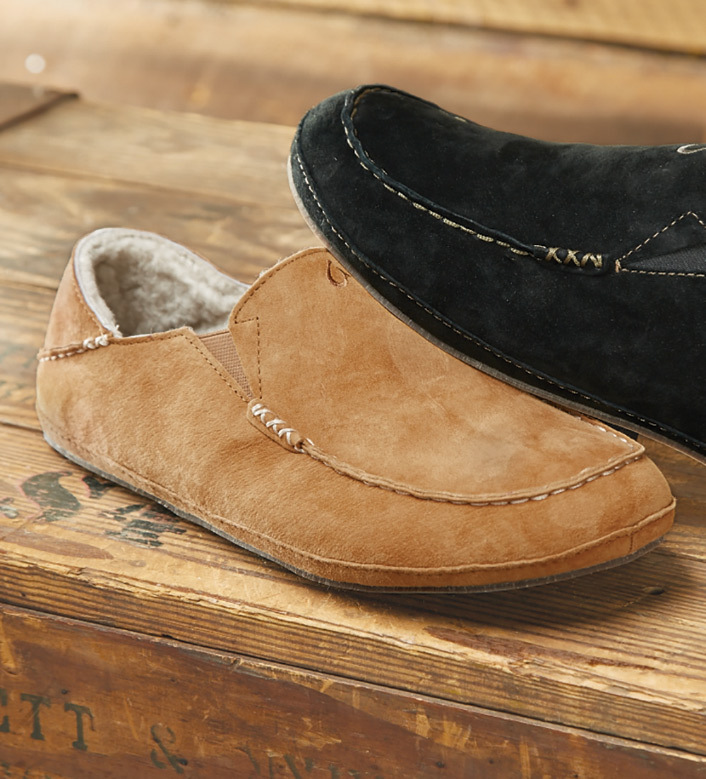 The laid-back luxury of supple nubuck leather, natural sheepskin shearling lining and OluKai's superior comfort and support. Hand-sewn moccasin toes, drop-in heels for shoe-to-slip-on versatility, natural gum rubber soles. Imported.